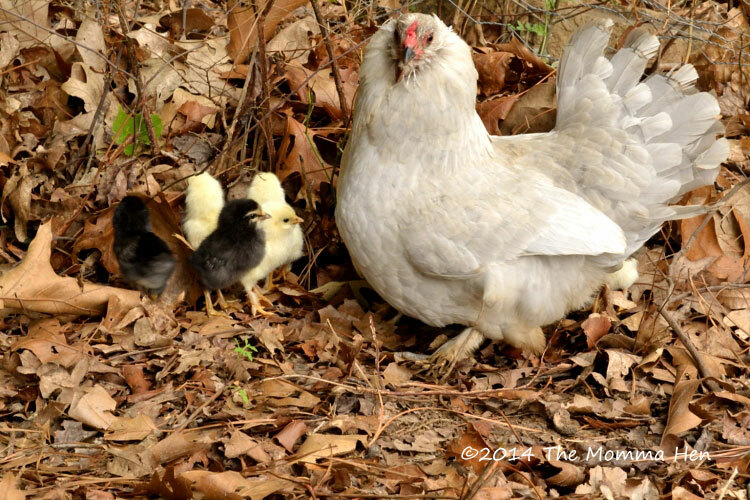 We had a bantam hen disappear several weeks ago. It was several days before we even noticed, jaded chicken farmers we now are. It returned yesterday. With a flock of baby chicks. The human hatchlings were ecstatic. Not the friendliest of our hens, we managed to get her and her bantam brood upgraded from the stick pile she’d obviously been sitting on for three weeks to our brooder. She didn’t want any part of our relocation plan, as she still had unhatched eggs. 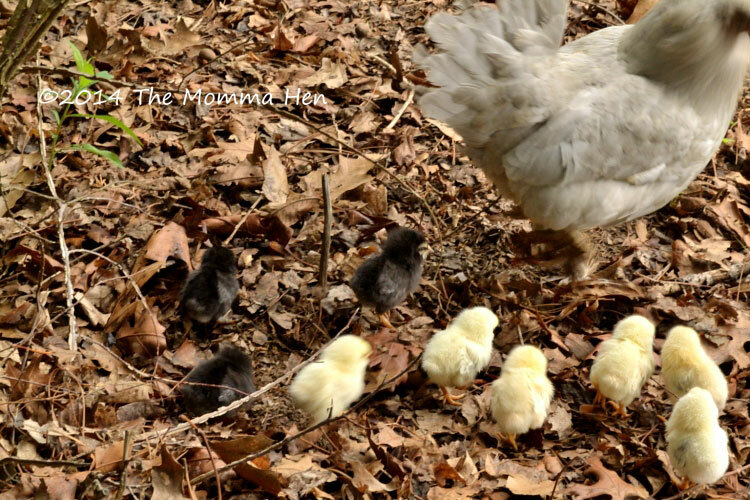 Counting eight day-old chicks, the human Momma Hen took a moment to mourn the fowl Momma Hen’s situation, but continued moving on. It was past supper time, and my Hatchlings’ plates were sitting on the kitchen counter, cold after sitting for an hour. Thirty minutes after getting her into the brooder, we realized she also still had a chick out there, thanks to our Aussie who almost caught it. We tried unsuccessfully to find it before dark, and decided it wasn’t worth risking the drama and trauma to get the hen back out of the brooder to find it. This was three hours of our evening. This morning we spent another two hours outside and finally heard a faint peeping coming from the thick brush. We herded the fowl momma hen and her flock out near the sound. She went unwillingly at first, pecking my boot and fluffing her feathers out in an attempt to warn me off. Then, with me standing right over her, out of nowhere there was a third black chick, the one that nearly was a snack for our dog the night before. 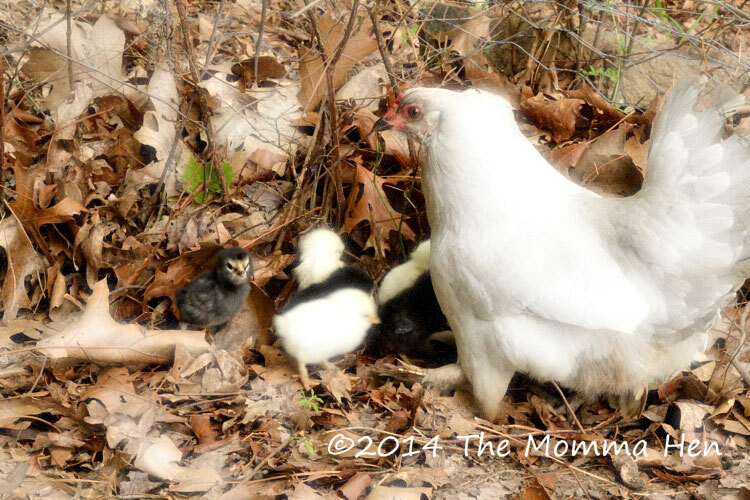 One minute there were eight chicks, the next there were nine. Fowl momma hen continued on, not missing a beat. The human hatchlings, with dreams of being nature rescuers when they grow up, are over the moon and, with a hat tip to their Chicago roots, have dubbed the tough little survivor chick Blackhawk.